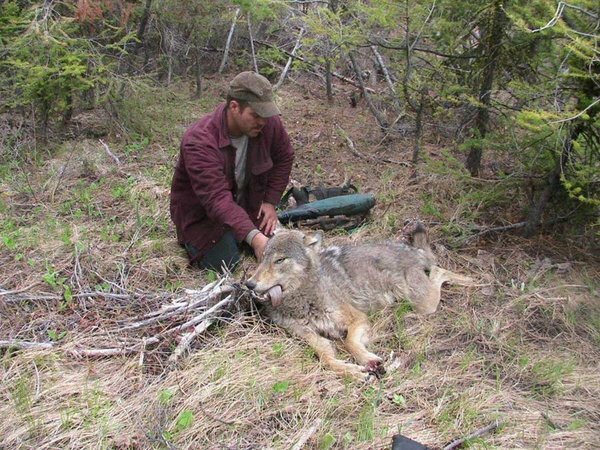 When Bill White was indicted for wolf poaching in June 2011, he faced nine felony counts, including conspiracy and obstruction charges. If he were convicted, the combined charges could have resulted in decades in prison and hundreds of thousands of dollars in fines. If Tom White were convicted, he faced up to eight years in prison. Erin White’s conviction could have led to more than ten years jail time. 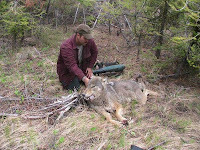 Since the Lookout Pack wolves first returned to Washington State in 2008, the skinned carcass of a gray wolf was found dumped by the roadside in neighboring Skagit County, with a bullet hole in it. In 2010, the pack’s breeding female disappeared under suspicious circumstances, her radio collar mysteriously going silent. In 2008, the poaching of a young wolf was discovered and, over the years, other members of the Lookout Pack had disappeared, their bodies never found. By 2011, of the original nine members, only one adult male and one or two sub-adults remained, dispersed throughout the area, the pack no longer together. As of 2012, biologists say the Lookout Mountain pack appears to be reforming. They also said another eight packs are believed to either exist or are developing in the state. For more information on reducing poaching in Washington state, visit Conservation Northwest and to read their statement on the sentencing.